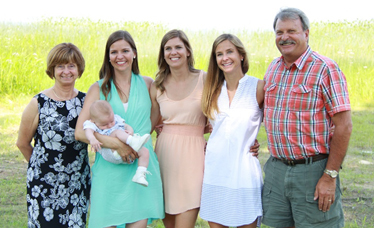 We’re proud of our Dad, Jack MacLaren, Now, more than ever! Our Dad will not say things just because people want to hear it. He despises the games, and gossip that are part of politics. And he is not afraid to stand up for what he believes is right, even though it may not be politically popular. It takes courage to step outside this box and tackle bigger, more complicated and less acceptable topics, like property rights. And in politics once you do that, you become a target for critics, and it can get vicious. But this hasn’t stopped our Dad, and it won’t. His sense of responsibility to his constituents won’t allow him to sit back and take the easy route. When our Dad told us he was leaving the Ontario PC party to join the Trillium party in mid May we were not surprised. He had been struggling with the belief that he could not properly represent his constituents any longer, while at the same time toeing the party line on things he disagreed with, like the Carbon Tax. Leaving the Ontario PC party was not an easy or rash decision for him, but in the end, he chose to remain loyal to the people and values that helped him first get elected in 2011.